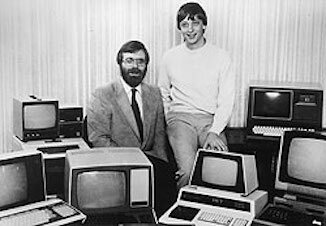 Also, on this day in 1975, Microsoft was founded as a partnership between childhood friends and computer whiz-kids Bill Gates and Paul Allen. The company is the largest seller of software (MS-DOS for early IBM PCs, and later, Windows and Microsoft Office). It also makes the Xbox game console. 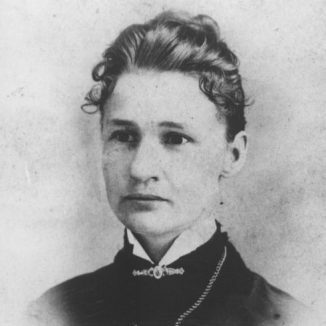 And on this day in 1887, likely the first female elected to any office in the United States, Susanna M. Salter, won the mayoral race in Argonia, Kansas. At the time, women didn’t even have the right to vote in national elections. Her name had been placed on the ballot as a prank by a group of men who were actually against women in politics and hoped to secure a humiliating loss that would discourage females from running… Salter herself did not even know she was among the slate of candidates before the polls opened. When, on election day itself, she agreed to accept office if elected, the Women’s Christian Temperance Union abandoned its preferred candidate and voted for Salter en masse, helping to secure her election by a two-thirds majority. She reportedly presided over the city government with great decorum.